High Deductible And Copays Threaten Family's Financial Health : Shots - Health News Even after buying employer-provided health insurance, an Arizona couple incurred a mountain of medical debt since a new baby was born. Robert and Tiffany Cano of San Tan Valley, Ariz., have a new marriage, a new house and a 10-month-old son, Brody. Since Brody was born, the Canos have racked up nearly $12,000 in medical debt. 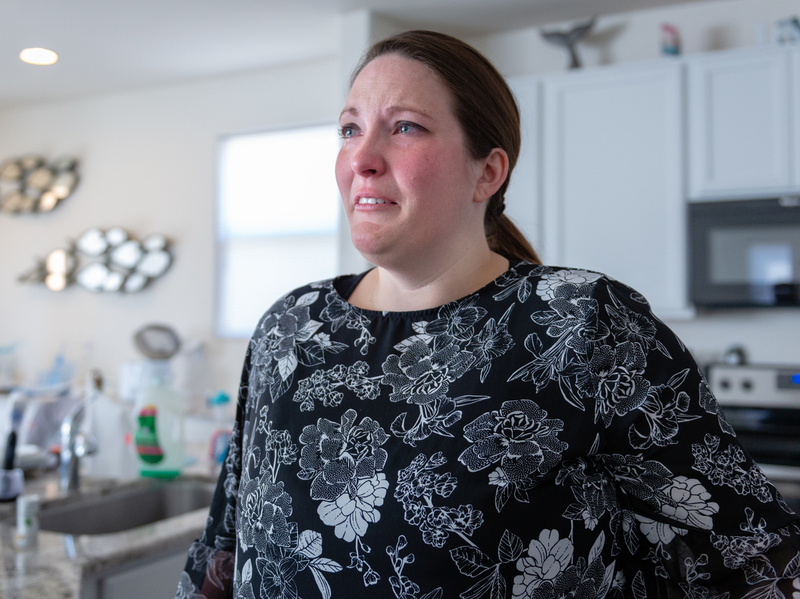 "I'm on these payment arrangements that are killing us," said Tiffany Cano, 37, who has spent her lunch hours from her job at a regional bank on the phone negotiating payoff plans that now total $700 a month. "My husband is working four jobs. I work full time. We're a hardworking family doing our best and not getting anywhere." The pair, who earn nearly $100,000 a year, are insured and have had no major illnesses or injuries. Still, the Canos are among the 1 in 4 Americans who report in multiple polls that the high cost of health care is the biggest concern facing their families. And they're at risk of filing for bankruptcy; 62 percent of people who file do so, in part, because of medical bills. Robert Cano, also 37, had family health insurance for 2018 through his job as a manager at a large chain retail store, for which he pays nearly $500 per month. The plan's $3,000 annual deductible and 40 percent coinsurance fees have added up faster than the Canos anticipated. "We're a hardworking family doing our best and not getting anywhere," said Tiffany Cano, with tears in her eyes. "I try to push through," Tiffany said. "I put on that brave face of just walking, but it's so painful to walk. I have bruises all over my leg. I get blisters all the time." Lately, she has been wearing an old prosthesis, one she used in high school, because it's a little bit more comfortable. The Canos don't know how exactly they fell into such debt, because they tried hard to make responsible decisions. After meeting three years ago, they knew quickly that they wanted to marry and have a family. "I told them, 'I have to be at home,' " he recalled. The Army insurance ended on Dec. 31, two days before Brody was born. Dr. Merrit Quarum, the chief executive of WellRithms, a health care consulting firm, reviewed the family's medical bills and the responses from their health care providers. Though Quarum had questions about some of the fees in the itemized bills — $4 for a 600-milligram ibuprofen tablet? $3,125 to place an epidural? — he found the charges were legitimate under the terms of the contract between the hospital and the Canos' insurer. Tiffany's only recourse was to set up the five payment plans she navigates each month. "I wish I could say it wasn't so, but it is," Quarum said. 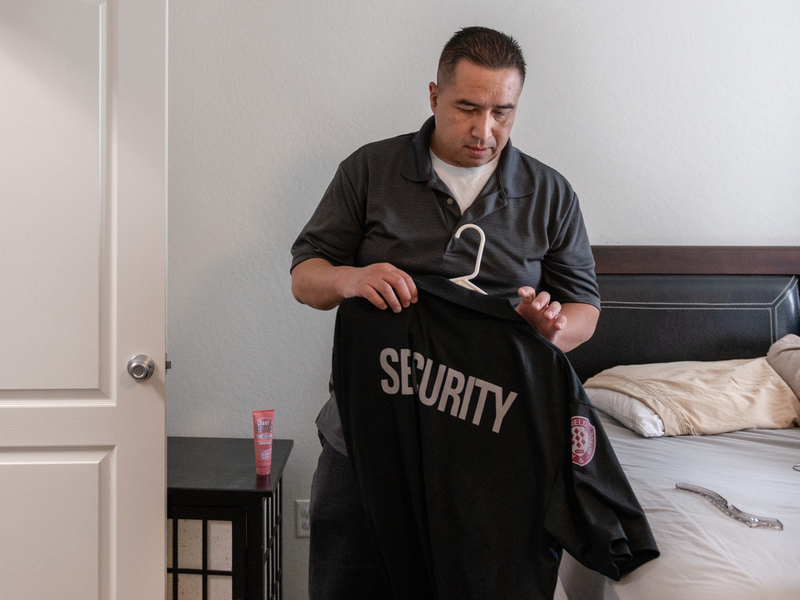 Robert Cano works up to 120 hours a week, mostly to cover the extra costs of his family's health care. Besides a retail job, he works as a substitute teacher, a nighttime security guard and as a sandwich deliveryman. "I'm not ashamed or embarrassed, even as old as I am, to deliver sandwiches," he said, pulling on his retail chain polo shirt before rushing to a Saturday morning shift. "I know people, they'd rather get food stamps and feel sorry for themselves. But I'm a fighter. I will not give up ... If I can bring in an extra $400 a week or $800 a month, she can get what she needs for the baby." "Sometimes I feel like a single mom because my husband is never around," she said. She carefully tracks the family's medical expenses, trying to juggle them with ordinary outlays that can't wait — like $500 for the brakes that went out on her car this month. At the rate they're going, the bills won't be paid until Brody is 3, Tiffany said. The Canos are getting older and they would like to have another baby before it's too late, but, for now, that seems impossible. For 2019, the couple have decided to switch to a different plan offered through Tiffany's employer. The premium is higher — $650 a month — but the deductible is $1,500 with just 10 percent coinsurance. "It is going to be a lot more per paycheck, which is going to hurt us," Tiffany said. "But after what just happened, I want to make sure we are prepared in case anything does occur." "The only thing we can do is just keep working," Tiffany said. "I always wonder: How does everybody else do it?"